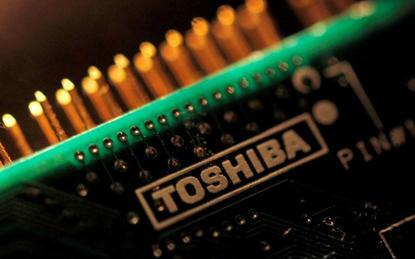 Even if the deal did not close by then, it would close "at some point in April, May or June"
Toshiba expects the sale of its US$18 billion memory chip business to be completed by June at the latest, if not by an agreed deadline of the end of March, as it awaits antitrust regulatory approval from China. “We've been making various efforts to close the deal in March," Yasuo Naruke, the head of Toshiba's chip unit, told reporters on Friday. Even if the deal did not close by then, it would close "at some point in April, May or June," Naruke said during his visit to a new chip R&D centre in central Japan. Toshiba agreed last year to sell the semiconductor business - the world's second-biggest producer of NAND flash memory chips - to a consortium led by U.S. private equity firm Bain Capital to plug a huge financial hole left by the bankruptcy of its U.S. nuclear unit. It is widely viewed as unlikely to gain the necessary regulatory clearance by the end of the financial year in March, however, as Chinese reviews usually take at least six months. Toshiba is in less of a rush to finalise the deal since it received injections of capital late last year from overseas investors. If it does not complete the deal by March, it has the option of walking away, sources have said. Some activist shareholders have opposed the sale, arguing that the fresh capital made it unnecessary. The flash memory chip business has been the source of most of Toshiba's earnings as the company struggles to grow other core businesses such as social infrastructure.